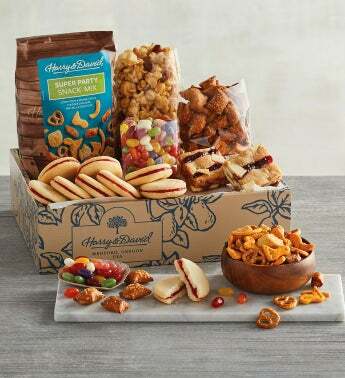 The Sweet and Salty Gift Box is a care package filled with a selection of premium gourmet treats. Carefully hand-packed with sweet and savory delights, this gift box features sweet raspberry galettes, classic caramel Moose Munch® Gourmet Popcorn, peanut butter pretzels, super party snack mix, and more. This gift can be shipped internationally.